Beautiful Large Room Size Antique American Rag Rug, Country of Origin: America, Circa date: 1900 – This casual and relaxed antique rug bears a modernist approach to design as it features an overall pattern of colorful, horizontal stripes. 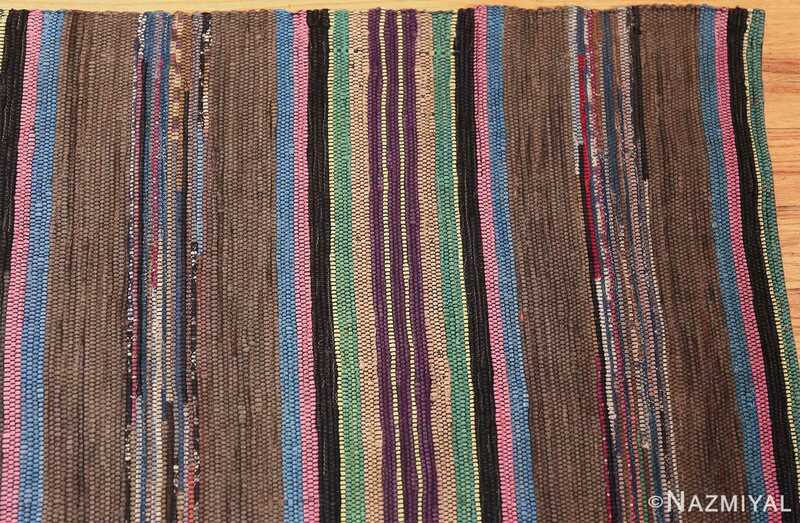 A section of five dark bands in a one-three-one arrangement repeats along the body of this large room size antique American rag rug to form the main design. The darker lines are accented by pale blue, yellow, red and green, the colors reminiscent of a night sky’s aurora. 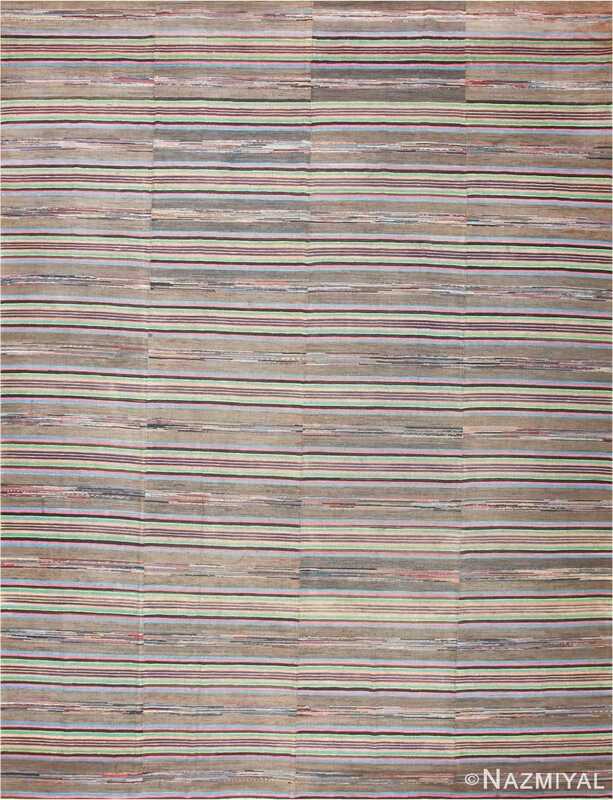 Hazy gray bars with haphazardly colored lighter lines fill the space between each stripe, offering hints of bright red, ivory, black and stark white. 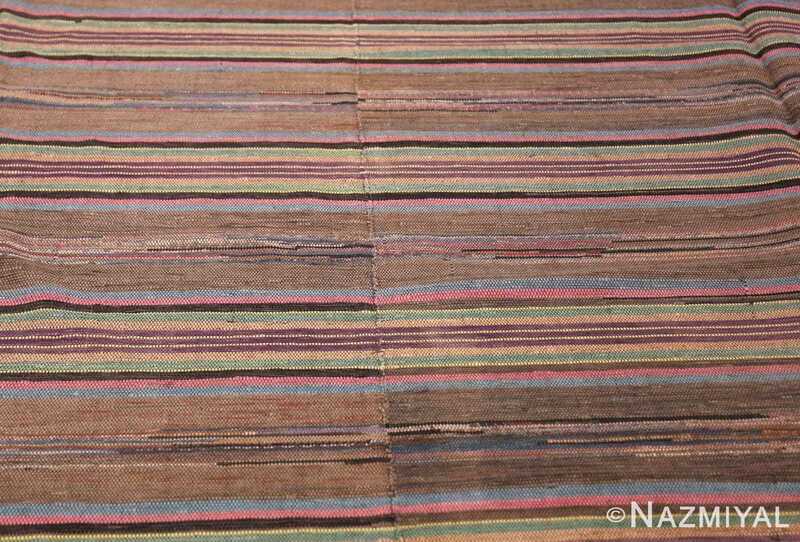 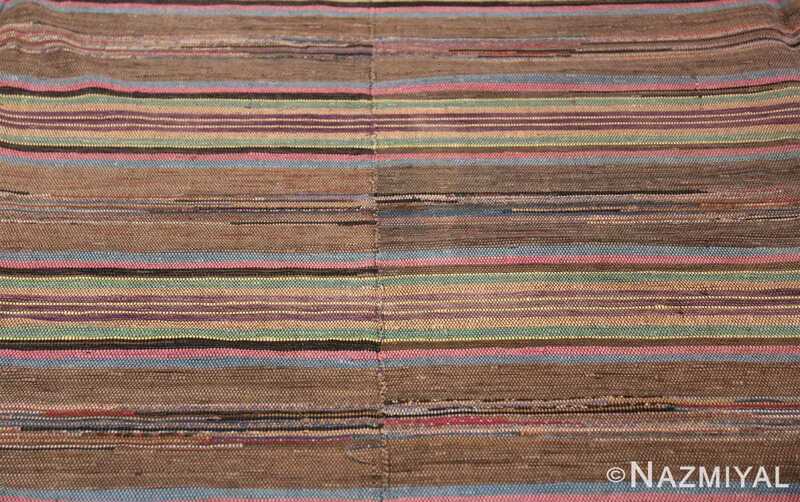 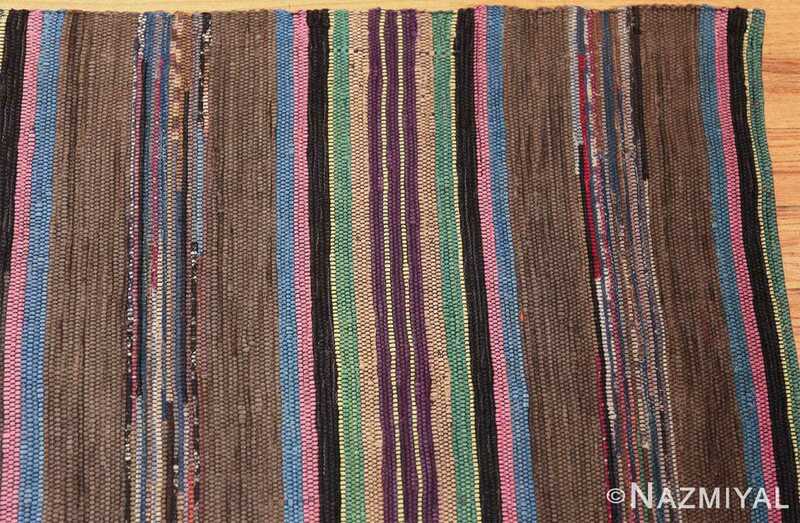 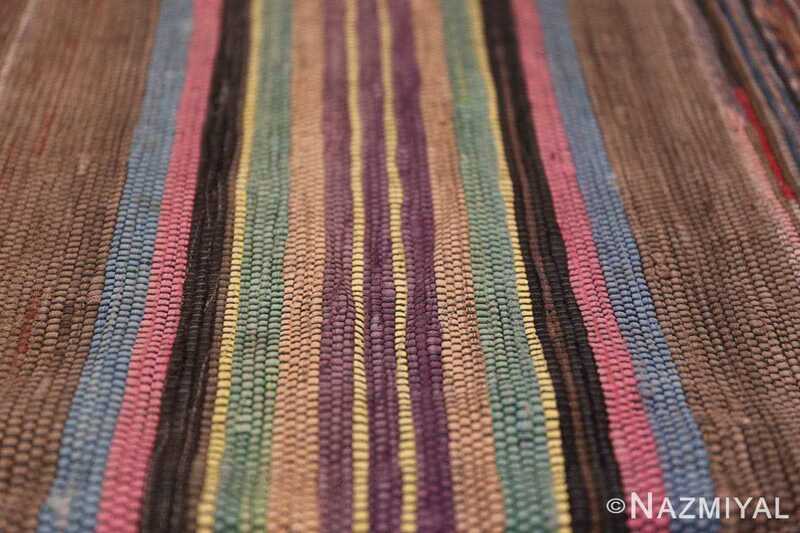 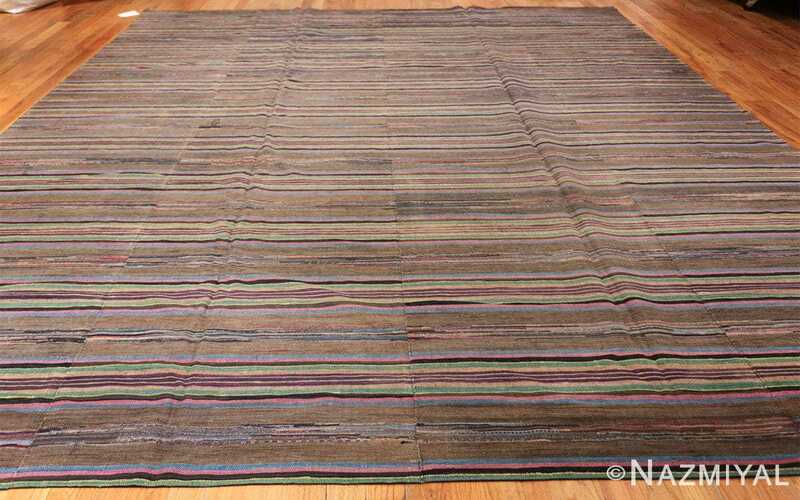 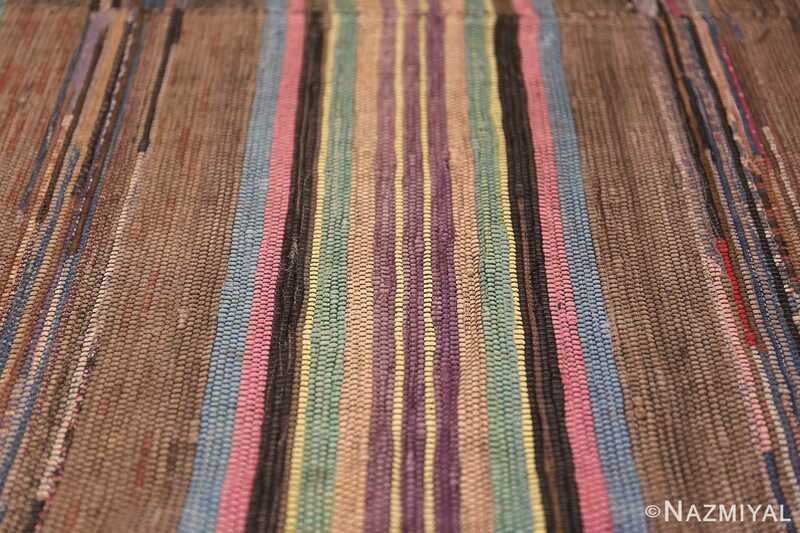 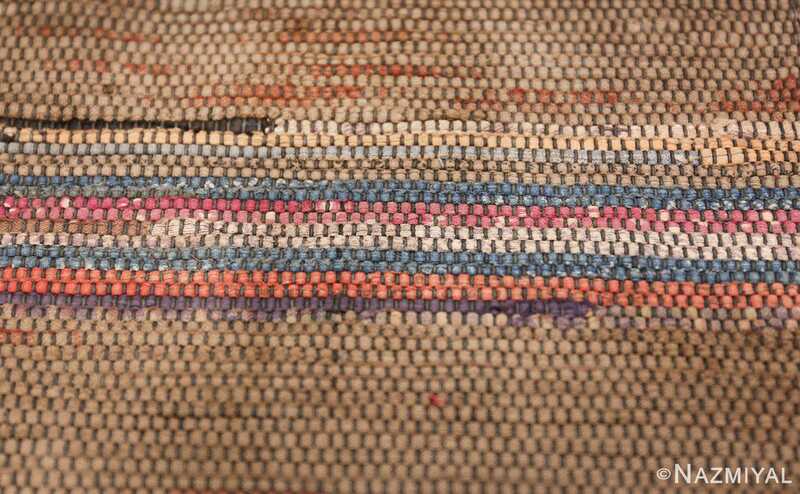 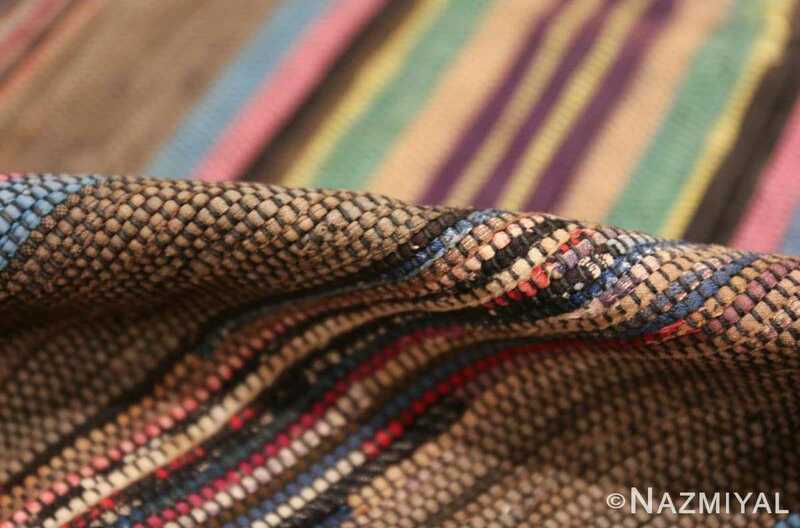 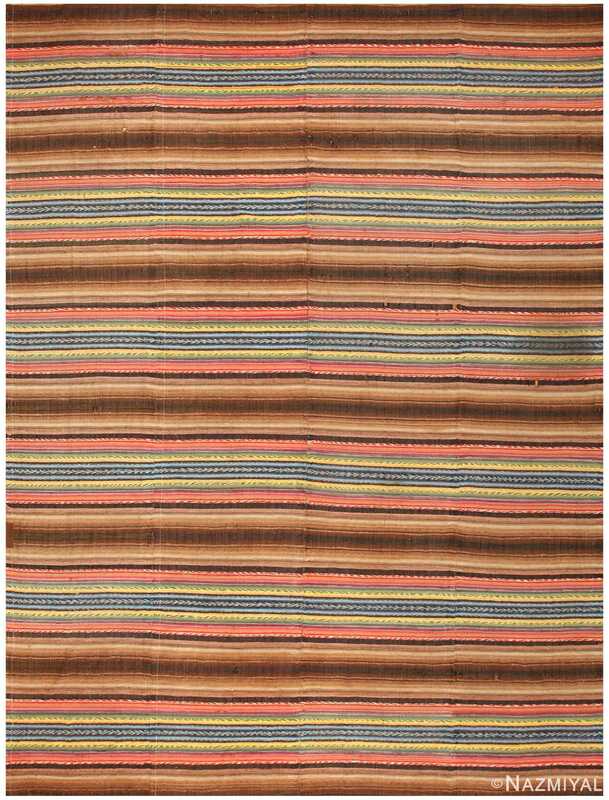 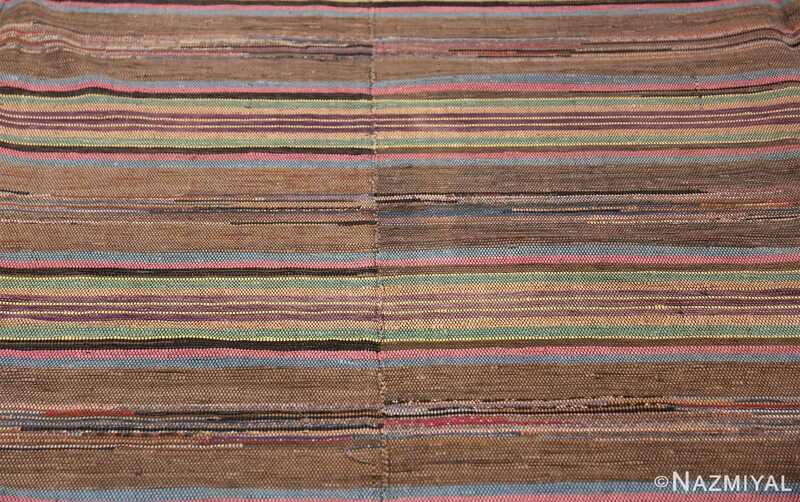 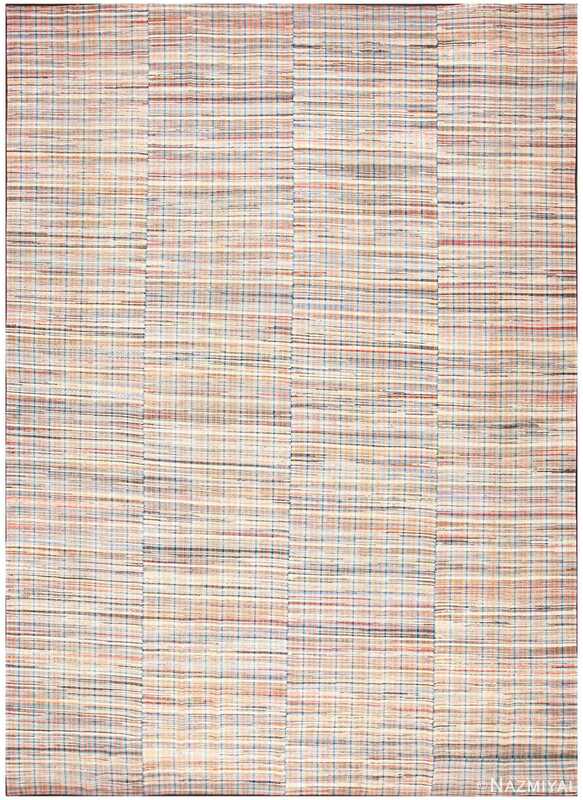 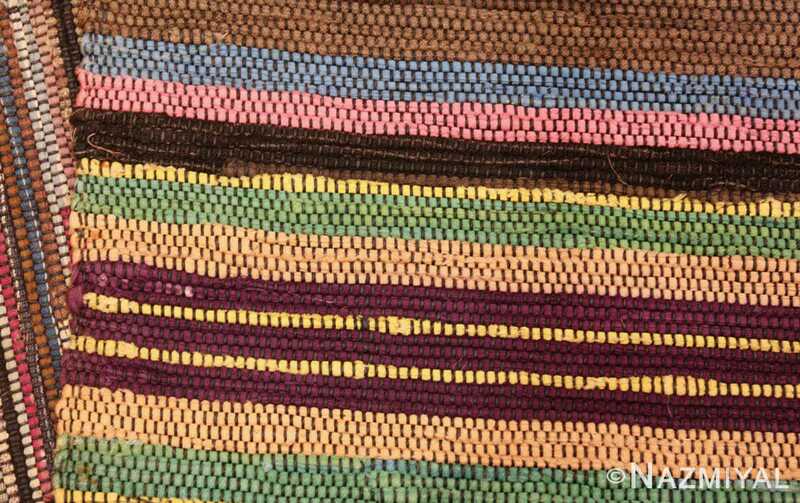 The whole pattern of this antique rag rug from America is indistinctly broken into columns with narrower strips stitched together to continue the stripes even as they disrupt it slightly.